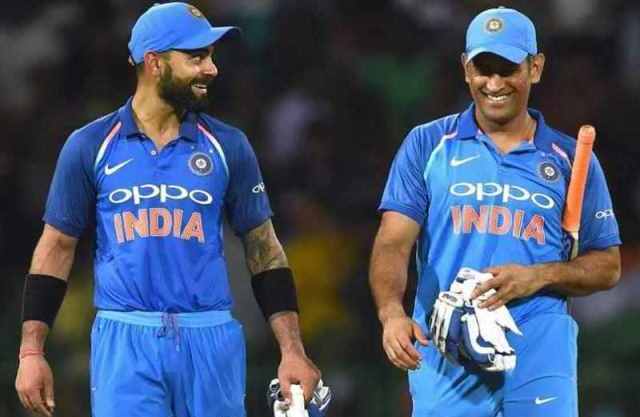 Bhubaneswar: Even though India lost the two-match T20 series against the visiting Australia, key players MS Dhoni, skipper Virat Kohli and KL Rahul each climbed a few spots. This is as per the latest rankings released by International Cricket Council (ICC). India’s most versatile wicket-keeper MS Dhoni gained seven places to take 56th spot while Virat Kohli rose to 17th after gaining two places. KL Rahul gained four places to take the sixth spot. Shikhar Dhawan, Rohit Sharma fell in their rankings. Fast bowler Jasprit Bumrah (up 12 places to 15th) and left-arm spinner Krunal Pandya (up 18 places to a career-best 43rd) were also advanced. The star of the recently concluded India-Australia T20 series, Glenn Maxwell two slots to reach the third position after shining with his bat in both the innings (56 & 113*). As per ICC Men’s T20 rankings, Pakistan now tops the list with 5280 points and 13 5 ranks. Pakistan is followed by its neighbour India with 5726 points and ranked at 122. Meanwhile, India and Australia face each other in yet another five-match ODI series beginning tomorrow. Both the teams have begun preparations for the first ODI to be played at Rajiv Gandhi International Stadium, Hyderabad.